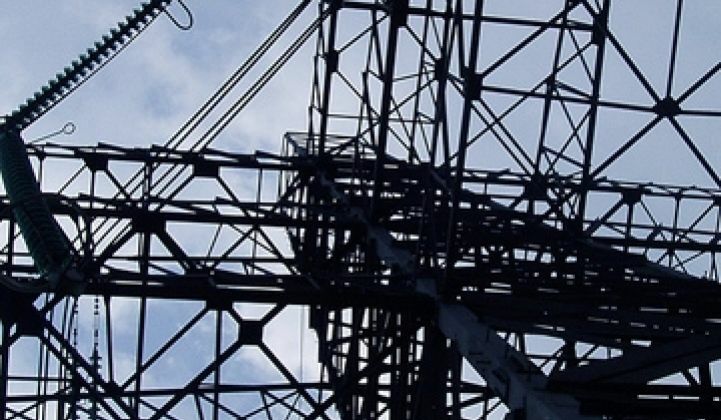 The DOE has given out $3.4 billion to 100 commercial-scale smart grid projects. Florida, Baltimore, San Diego utilities are early winners. The Department of Energy pulled the trigger on its $3.4 billion smart grid investment grant program Tuesday, announcing it would give the entire amount to 100 deserving smart grid projects – and leave about 300 other applicants out of luck. While officials didn't provide the full list of winners in a press pre-briefing on Monday, they did name a few, including Baltimore Gas and Electric and Florida Power & Light for big smart meter deployments, as well as San Diego Gas & Electric for its GridComm project (see Green Light post and A Million Smart Meters For Miami). The other winner announced was Marietta, Ga.-based Cobb Electric Membership Corp., which received $16.9 million in DOE funds to install 190,000 smart meters for all its customers – a nod to the DOE's decision to give three-quarters of the awards to projects seeking $20 million or less (see DOE Issues Rules for $3.9B in Smart Grid Stimulus Grants). Of the remaining 25 larger projects, several of them were in the maximum $200 million range, said Matt Rogers, special advisor to Energy Secretary Steven Chu. All told, the funding will help deploy 18 million smart meters to about 13 percent of the nation's homes, Rogers said. That's not all – the grants will also lead to the installation of 200,000 advanced transformers, 700 automated substation systems and similar systems for the nation's distribution grids, as well as 850 sensors for transmission grids, he said (see Green Light post). On the home front, grant winners planned to install one million in-home energy displays, 175,000 load management devices and 170,000 smart thermostats to help homes save energy, he added. The DOE did its best to spread the grants around – grant winners included projects in 49 of the 50 states, Rogers said, though he declined to name the state that missed out. President Barack Obama was set to announce the grants Tuesday morning during a trip to Arcadia, Fla., to visit the DeSoto Next Generation Solar Energy Center, a 25-megawatt solar power station owned by smart grid grant winner Florida Power & Light (see Green Light post). The $3.4 billion in DOE grants also is expected to draw about $4.7 billion in private investment, for a combined $8.1 billion in spending, he said. Funds should start flowing in the next 60 days, and funded projects will take one to three years, Rogers said. How the announcements will affect the fortunes of smart grid vendors remains to be seen, though taken as a whole they represent a huge shot in the arm. The DOE planned to release the full list of winners early Tuesday morning, but the few projects announced Monday do provide some guidance. Florida Power & Light's $200 million grant for its Energy Smart Miami project – named as a winner by Carol Browner, chief White House advisor on energy and climate change, in Monday's press conference – will favor partners General Electric, Cisco and Silver Spring Networks, for instance. Cisco is also a partner on San Diego Gas & Electric's GridComm project, which won a $28.1 million grant that it will match with a $35 million to deploy a variety of communications networks across its service territory. Those will include a WiMax-based system from an as-yet unnamed vendor, the utility has said. Contenders could include GE and startup Grid Net (see GE, Grid Net Win WiMax Smart Grid Project in Australia). Other partners on the GridComm project include IBM, which is involved in dozens of smart grid projects, and Arcadian Networks, which provides smart grid communications over licensed spectrum networks (see Arcadian's Smart Grid: Licensed Spectrum Network to Own or Rent). Baltimore Gas and Electric, for its part, won $200 million to install 2.1 million smart meters, along with about 140,000 in-home energy management devices. The utility has piloted smart meters from Sensus, though it hasn't said which meters it will use for its bigger project. As for the 300 or so proposals passed by for grants, they won't have another shot, unless they've applied to a separate, $615 million program for smart grid demonstration projects. The GridWise Alliance, a 100-plus member smart grid trade group, said in a statement that it hopes other projects that didn't get funded would be able to get state regulator approval to go ahead anyway. But, while many applications were for extra cash to speed up existing smart meter deployments, others might not be feasible without the match. Even DOE-funded projects may not be free from regulator scrutiny. Consumer groups have asked the California Public Utilities Commission to reconsider allowing Pacific Gas & Electric, Southern California Edison and San Diego Gas & Electric to expedite rate hikes for projects awaiting DOE matching grants, and some PG&E customers have been complaining about their smart meters adding hundreds of dollars to their power bills (see Green Light post). The uncertainty over grants has already led to a noticeable drop-off in smart grid spending over the past six months or so, as utilities wait to see if they'll get DOE money before bringing contracts to regulators for approval, industry watchers have noted. Companies that don't win out may want to know why they didn't make the cut, and some may even sue, Frank Ramirez, CEO of Ice Energy, suggested last month (see Green Light post). Rogers did offer condolences to those passed by, noting that plenty of good projects didn't make the cut. On a side note, Rogers said that at least a few transmission grid projects are expected to get money from the DOE's so-called 1705 and 1703 loan guarantee programs, which have set aside about $750 million for transmission projects expected to lead to about $16 billion in private lending (see DOE Looks for Submissions for $30B Renewable Energy Loan Guarantees).